Stunning views and amazing golf. 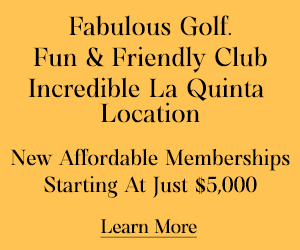 Ojai Valley's luxury Academy of Golf program features experienced and committed PGA and LPGA professionals along with Dr. Joe Parent, a world-renowned Mental Game Coach, to guide and assist with improving your performance. They present a comprehensive selection of recommended offerings, including private instruction, enhanced junior and womens academies, mental game coaching, etc. In a setting as natural as Ojai, it is only fitting that it is home to one of America's premier Southern California golf resorts and championship golf courses. Ojai Valley Inn & Spa offers an abundance of luxurious amenities and special services to make each guest's stay as enjoyable and worry-free. L.A. is famous for many things: Smog, traffic, beaches, moviemaking and, well, famous people who are involved in the moviemaking business. So travelers visiting Los Angeles for the first time are pretty much obligated to hit the tourist locations: They should gawk at the hand- and footprints of famous people outside of Grauman's Chinese Theatre, fight the bumper-to-bumper traffic while cruising the vibrant Sunset Strip, head north on Pacific Coast Highway to take in the gorgeous coastline, get a tan on any of the miles of beaches or brave the ocean surf. And they should allow themselves plenty of time to peruse the Los Angeles County Museum of Art complex, which includes the historic La Brea Tar Pits. Yet after they've sipped coffee with a movie star in either of the Starbucks in downtown Malibu, tourists may want to slip on their soft spikes so they can play Malibu Golf Club, an open-to-the-public William Francis Bell design that features so much up and down that it can be confused with a roller-coaster, albeit a roller-coaster with fantastic greens. Once they are back in L.A. proper, golfers may be tempted to play one or more of the numerous public city and county courses. And although all three courses in Griffith Park and the great-long-ago Rancho Park Golf Course receive tons of play, who wants to stand around while playing a five-and-a-half-hour round? A far better bet is to head to the Angeles National Forest to play the only Nicklaus Design course in Los Angeles County, Angeles National Golf Club. This stellar brute has earned plenty of distinctions and is well worth the 30-minute drive from downtown L.A.
TripAdvisor.com provides a destination guide for Los Angeles complete with reviews, things to do and deals on restaurants, flights, and lodging. 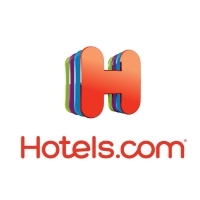 Looking for hotel rooms in and around Los Angeles? Looking to travel to Los Angeles? Planning a golf trip to Los Angeles or looking to golf while traveling? Architect: George C. Thomas, Jr. Architect: Ted Robinson & Ted Robinson, Jr. The pros of the game have been calling this golf resort in Southern California 'home' since the early 1920s. The Golf Academy at the Ojai Valley Inn offers amateur and moderate skill golfers the opportunity to fine tune their technique and learn from some of the best in the game. Been to Los Angeles? Write a review to help future golfers plan their golf trip.